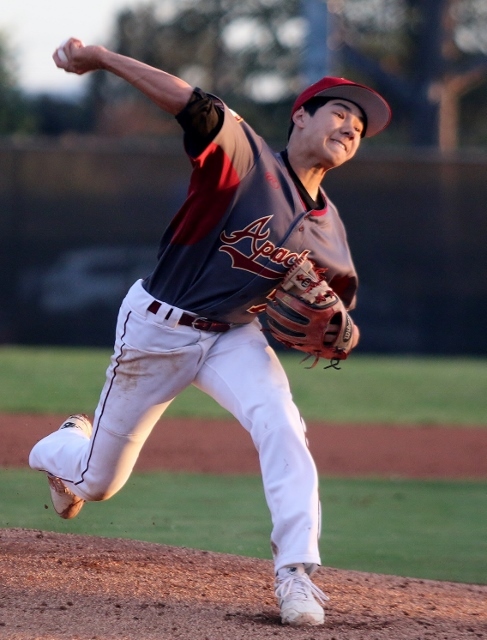 (Arcadia) – Preston Howey struck out 12 batters in five and one-third innings and the offense did the rest as Arcadia beat Carter 7-3 Wednesday night at Arcadia High. Howey was dominant throughout, striking out the side in the first and the fourth innings. He allowed just two hits and a run before coming out with one out in the sixth. He also hit a batter in the fifth inning. 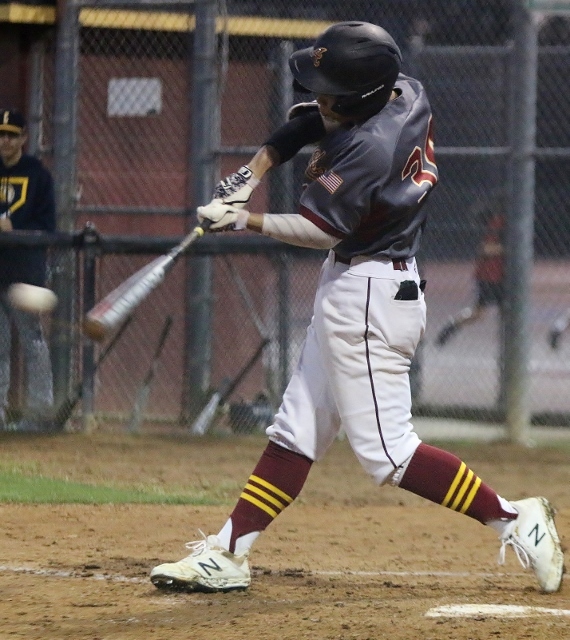 The game was scoreless through the first three innings before Arcadia exploded for five runs in the fourth. Brandon Nguyen started the rally with a one out single and scored on a triple by Jeffrey Castillo. Castillo cruised home on a double by Dustin Allen and Allen scored on a base hit by Dominick Tello. A double by Mikey Easter and a single by Tyler Quintero plated two more and by the time the dust had settled it was 5-0 Apaches. Gavin Vogel singled and rounded the bases to score on another extra base knock by Allen in the fifth inning. The Apaches added a run in the sixth when Vogel walked and scored on another runs scoring single by Allen. Carter scored all of its runs in the sixth inning on three hits, a couple of walks and a wild pitch. Xavier Uribe and Moises Gamez both doubled on the inning and Carlos Garza had an RBI single. Allen picked up for Howey and pitched the final inning and two-thirds. 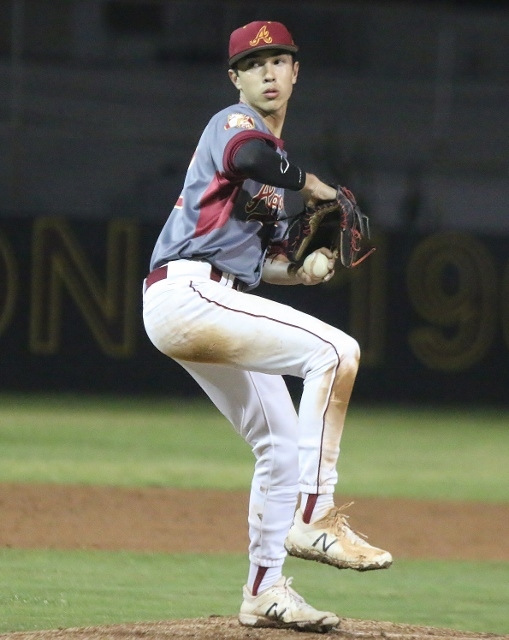 Matthew Valdez started for the Lions and went five innings allowing five runs and nine hits. The Apaches remained unbeaten improving to 14-0. Next up for Arcadia is a road trip to Muir next Tuesday. Carter fell to 7-7.